The new GTX 1650 Graphics Card is available now in New Zealand, giving us a another great low cost option for gaming PC builds! 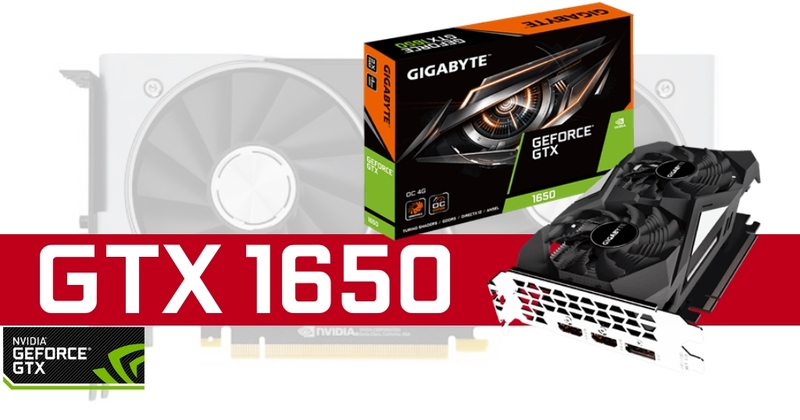 Designed to be the cheapest option in the new GTX 16XX series, these new GTX 1650 position themselves just above the GTX 1050Ti performance wise, and just behind the GTX 1060 – for a similar price. While everyone is still testing the performance in specific games we have the basic info from Nvidia and partners, showing a slight increase in the various clock speeds making it a nice upgrade from the popular GTX 1050, or a very upgrade from the GTX 950 🙂 The best bit is we get to enjoy the updated cooler designs from the masters at Gigabyte, Asus and EVGA, so with these new cards in our systems they’ll look and run better than ever. Looking closer at the fastest models from the new arrivals, namely the EVGA SC Black Edition and Gaming Edition, both these GTX 1650 models have an extremely fat custom cooler, not long, just heavy on the slots it takes up. As this cooler really is big, be aware if you’re planning a PC with it first check your motherboard spacing (the graphics card might block a slot you had intended for WiFi). Both require an additional 6Pin power input so plan for 75watts and also important to note is there are just 3 monitor outputs on these new GPU, 1x HDMI (4K 60FPS ready) and 2x DisplayPorts. 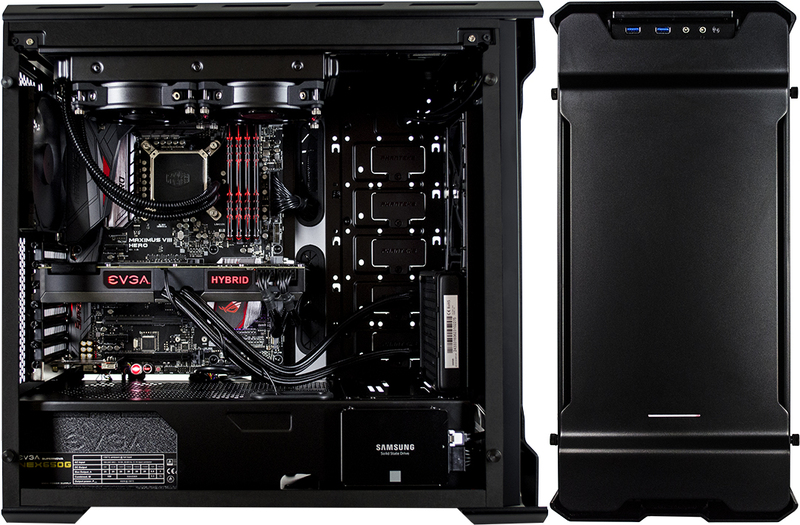 We can’t wait to build with all the new options as they arrive in NZ, the new Gigabyte version look especially awesome with the black/grey coolers and slimmer slot form factor to allow for more traditional Gaming PC builds, and we’re excited to see which versions have no additional 6Pin required for some mini Gaming PC builds, whatever the case it looks like fun times ahead! This promotion has now ended, you can still redeem some qualifying purchases using the links below. Nvidia kick off a fantastic March with another free game bonus offer, they named this one the RTX Triple Threat and this time it’s the choice between Metro: Exodus, Anthem or Battlefield 5 for those getting a new RTX Graphics Card, valid on purchases from March 5th – April 4th 2019. With selected RTX 2060 or RTX 2070 – choose one game, get the RTX 2080 or RTX 2080Ti – and you can get all three! This offer is only available from selected brands, see the links below. Metro Exodus: Metro Exodus is a story-driven first-person shooter from 4A Games that blends deadly combat and stealth with exploration and survival horror in one of the most graphically stunning game worlds ever created. Featuring an arsenal of unique, customisable, hand-crafted weaponry built on the principle of mechanical realism, you’ll journey across Russia with your travelling companions, recruit new allies along the way to help your cause, and encounter sinister foes in the wastelands. Anthem: Team with up to three other players in cooperative adventures that reward both combined effort and individual skill. Each player’s choice of javelin exosuit will shape their contribution and strategic role. As you explore, you will discover a gripping story filled with unique and memorable characters. Seamless and intelligent matchmaking will ensure you can quickly and easily find other players to adventure alongside. Battlefield 5: The Battlefield series goes back to its roots in a never-before-seen portrayal of World War 2. Take on all-out multiplayer with your squad in modes like the vast Grand Operations and the cooperative Combined Arms, or witness human drama set against global combat in the single-player War Stories. As you fight in epic, unexpected locations across the globe, enjoy the richest and most immersive Battlefield yet. This promotion has now ended, see the new RTX Triple Threat promotion with Metro Exodus, Anthem & Battlefield 5! With selected RTX 2060 or RTX 2070 – choose one game, get the RTX 2080 or RTX 2080Ti – and you can get both! Depending on your chosen brand of RTX Graphics Card use the links below to register and redeem! Redeem EVGA RTX Graphics Cards <- If you are unable to get yours via EVGA due to an “Out of codes” message, please let us know! 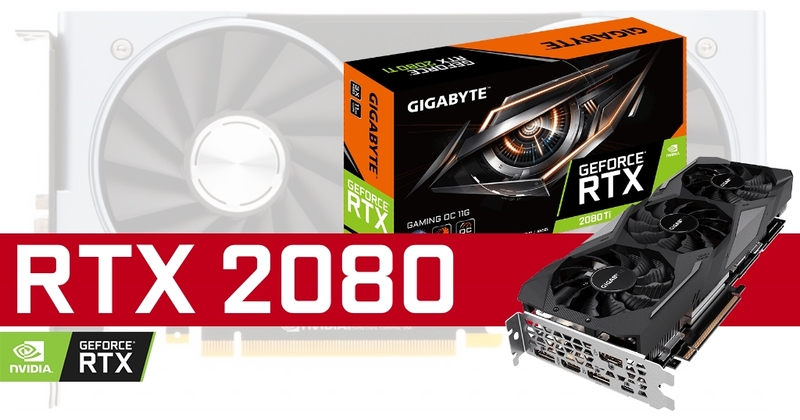 RTX 2080 Graphics Cards Release Today in NZ! Nvidia RTX Graphics Cards are available now in New Zealand, with models from EVGA, Asus and Gigabyte all looking very good. This latest generation of GPU has a slightly different naming style with the unexpected R – this highlights the real-time ray tracing aspect of this new release. Another new term to come along with the graphics cards in NVLink, the new SLi bridge for enthusiasts looking to build the most powerful gaming rigs in world. Ray tracing relates to some of the graphic elements that make our games look good, or maybe realistic is a better word for this, it helps with dynamic lighting and reflections and with the boost real-time ray tracing enables, we’re even closer to having games look like our favourite CG cutscenes 🙂 It’s not a game breaker and if your sticking with GTX you’ll still be able to play, just on lower settings. Youtube demos can be seen via these links for Battlefield 5, Metro Exodus and Shadow of the Tomb Raider if you want to see real-time ray tracing in action. Looking closer at the models available at launch, the new EVGA RTX 2080 XC with the Precision X1 software suite which, when paired with the NVIDIA Turing graphics card, promises to unleash its full potential with a built-in overclock scanner, adjustable frequency curve and RGB LED control. 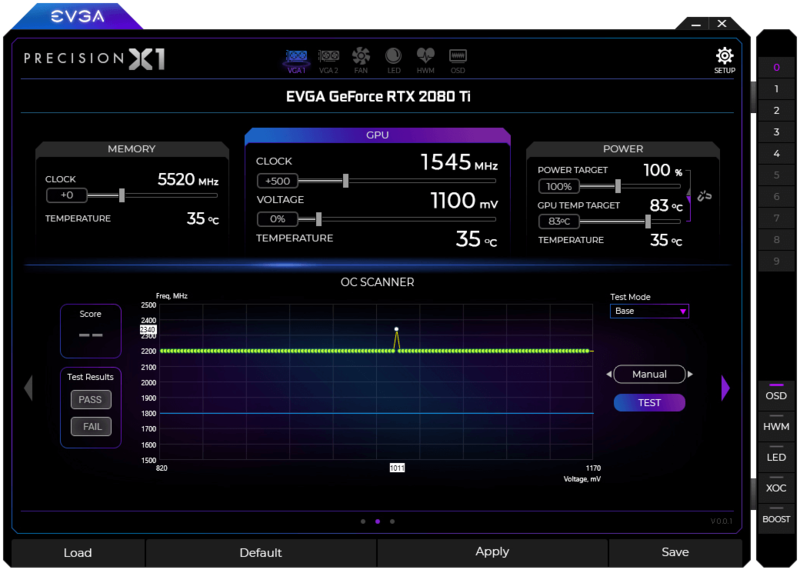 The software is set for release along with the new RTX series, and it looks like this new generation of EVGA’s GPU stress testing utility, brings with it some excellent modes for pushing our new graphics cards to the limits. If EVGA has the coolest software award then the coolest RTX award must go to Gigabyte’s new RTX 2080 OC with Windforce Cooling. The triple cooling system features 3x 82mm fans, with an alternate spinning fan in the middle, 6 composite copper heat pipes and heat-pipe direct touch all working together to deliver an effective heat dissipation capacity for great performance at lower temperatures. The card looks amazing too, gone in the signature orange from the previous 10 series, replaced by a perfect semi-metallic grey. Moving onto the new Asus Dual RTX 2080 we can highlight one thing all these new cards have in common, they’re large, and Asus is totally OK with this, making some of fattest. Via Asus: This generation, our top-end cards adopt a 2.7-slot footprint to accommodate a larger heatsink because bigger is better. We’ve increased the overall surface area of our cooling array by over 50% compared to last gen. If you want to squeeze the most out of the Dual GeForce RTX 2080’s performance, our latest design gives you a lot more thermal headroom for overclocking. If you’re just looking for an amazing plug-and-play experience, the extra heat dissipation keeps your fans running at lower speeds while you game. The coolers on all models sit high, so when you fit them in your systems (upside down), these new RTX series fill almost three-slots. Keep this in mind if you’re thinking of adding a component to the motherboard slots below. There is also no more DVI output, though the EVGA card looks to include an HDMI – DVI adaptor in the box. For the next generation VR headsets you’ll now see a special USB Type C connection on the back. See these and more awesome new RTX Graphics Cards + RTX Gaming PC in the Nvidia Store at PB Tech, fun times ahead! 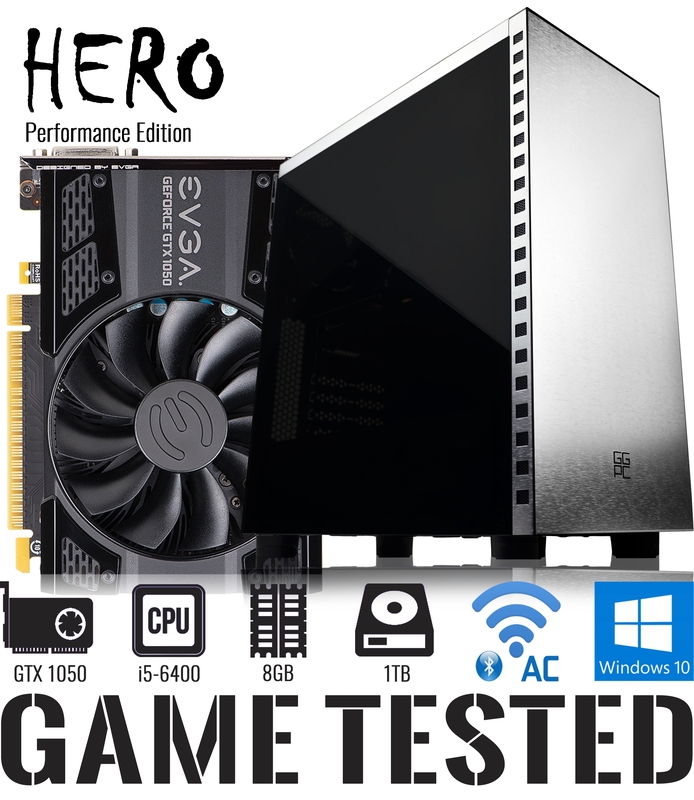 Fresh from the workshop our latest GGPC Hero Gaming PC returns armed with EVGA GTX 1050 graphics \o/ Like all GGPC builds we’re always tinkering with slightly different components to see if we can squeeze out a little more performance for each $ spent, and on that note – let’s take a look at the latest tweaks! Firstly, a really cool update that effects all our Gaming PC in the GGPC custom chassis – we’ve taken out all the LED strip lighting kits and static fans and replaced both with RGB cooling 😛 A total of three RGB fans are now fitted in the front panel of the chassis and both the colour and fan speed can be adjusted via an included remote control, we left the rear 120mm outtake in the chassis as a standard GGPC black fan so you can game comfortably without a blinding LED directly in your line of sight. When the rig is on your desk and the glow from the front shines backwards to light up the beautiful components inside 🙂 Taking out the strips has also brought down the internal temperature a little and being able to tweak the fan speeds allows the gaming rig to run even quieter than before. Now onto a tweak specifically for the Hero build – we added a new GTX 1050 from EVGA 🙂 This one’s as much about ascetics as performance with the new GPU being a nice gunmetal grey that suits the case perfectly and in-game it’s a little beast! Heaps of more games to test and fun times ahead! You can check out more GTX 1050 Gameplay FPS Tests here and many more on our GGPC YouTube Channel, keep your eyes on the GGPC Computers Blog and we’ll update with the latest. And this is where things get fun 🙂 The GTX 1080 + i7-6700K is able to hit a whopping 19400 in the Final Fantasy Benchmark run which is pretty excellent, our tests with the GTX 1070 + i7-6700K in Paladin gave us an impressive result of 17800 which was actually a lot closer than we thought it would be… this might actually be possible with an OC. In game it was very difficult to tell the two graphics card apart performance wise (both run most on ultra settings pretty darn well) but the EVGA Hybrid 1070 under full load is much much quieter, something we specifically wanted for this build as it’ll be used for a lot of live game streaming. We’ll be using our favourite FREE benchmark for this one set to maximum detail at 1920×1080, you can download the Final Fantasy Benchmark software via this blog from Nvidia Benchmarks, it’s free so you can install and test your own systems at home and compare with various configurations we have in our Gaming PC Benchmark Playlist. We then started tweaking a little, first cranking power limit to max for a run before we tinker with the all important Core Clock and Memory Clock. We then tweaked these up with basic +100 to each, with GPU tweak II you can click and type in target clock speed rather than using the sliders, also don’t forget to click the tick to apply the settings. This gave us slightly better results with a score coming in a 18400, now to close the gap! With a little tweaking and a few long tests to be sure it’s stable we managed an impressive 19228 with the 1070! (less than 1% off our GTX 1080 score!) You can check out the final scene in our benchmark run video below, with a quick snapshot of our settings shown at the very end to make things easy if you’re wanting to tinker for yourself at home – maybe even push things up a little higher! If you’re overclocking to see just how far you can get remember that not all graphics cards limits are identical and overclocking results can vary a bit from card to card but that makes it all the more fun when you get a really good one! Go slowly as you increase the clock speeds look out for graphical glitches so you know when the limits of your card are getting close. The first one to keep an eye out for is pop in (or missing) textures, if you see odd colour dimming or pink and green flashes your OC is likely a little too high 😛 If you go wayyy to far you’ll crash either the benchmark software, nvidia display driver or force reboot your PC so play it safe and go slow so you avoid having to reboot. Lot’s of fun to be had with this kind of thing in any case, keep your eyes on GGPC Computers Blog for the latest gameplay tests, custom builds and more! Good Gaming PC – eSports NZ custom builds! We’re pretty excited to be competing in the upcoming Ping Zero! 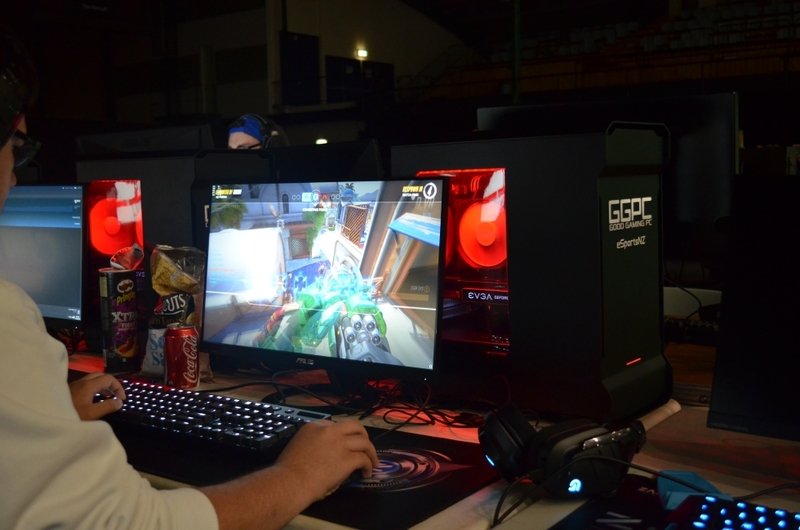 eSports tournaments and we’ve been working hard on creating some very special gaming PC for our GGPC team players to use throughout the event. GGPC GTX 1070 Warlock eSports Edition PC! We’ve made this build quite small by using the Phanteks EVOLV and with this new form factor we had plenty of space on the desk for our weapons of choice – Logitech G Gaming Gear setups for eSports! UPDATE: The GTX 1060 is available in New Zealand now! Nvidia has unveiled the new GTX 1060 and it’s the most exciting Pascal-based graphics card lineup yet – Nvidia claims the GTX 1060 is faster than a GTX 980! This awesome new graphics card is set to be released worldwide on July 19 and while the full technical specifics for the GTX 1060 aren’t available just yet, Nvidia claims is easily overclocked to 2GHz and beyond but best of all – the power supplied is via a single 6-pin connector, this will enable us to do some crazy small gaming PC builds featuring this new card and the overall price should be very good indeed! 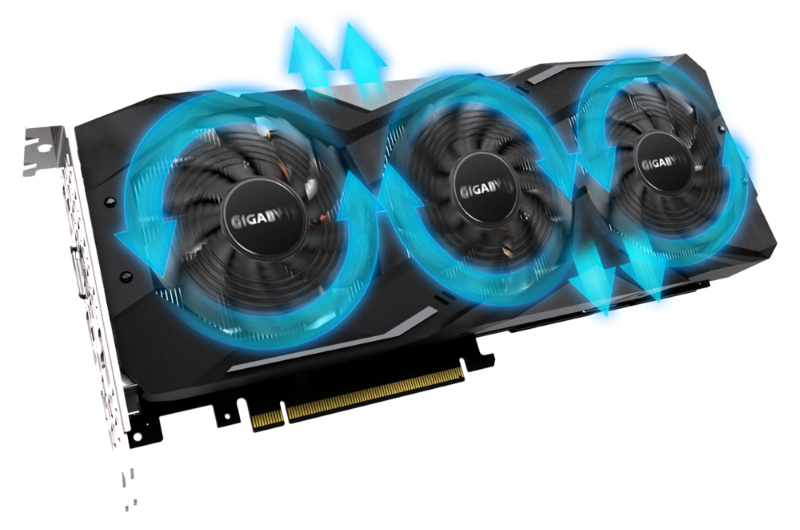 Like the GTX 1080 and GTX 1070, the GTX 1060 will be available from manufacturers like Gigabyte, Asus and EVGA as well as a founders edition from Nvidia. The early launch of the GTX 1060 makes things pretty interesting with AMD set to release the RX 470 shortly afterwards, in any case we can’t wait to show you our YouTube Gameplay FPS tests for both! 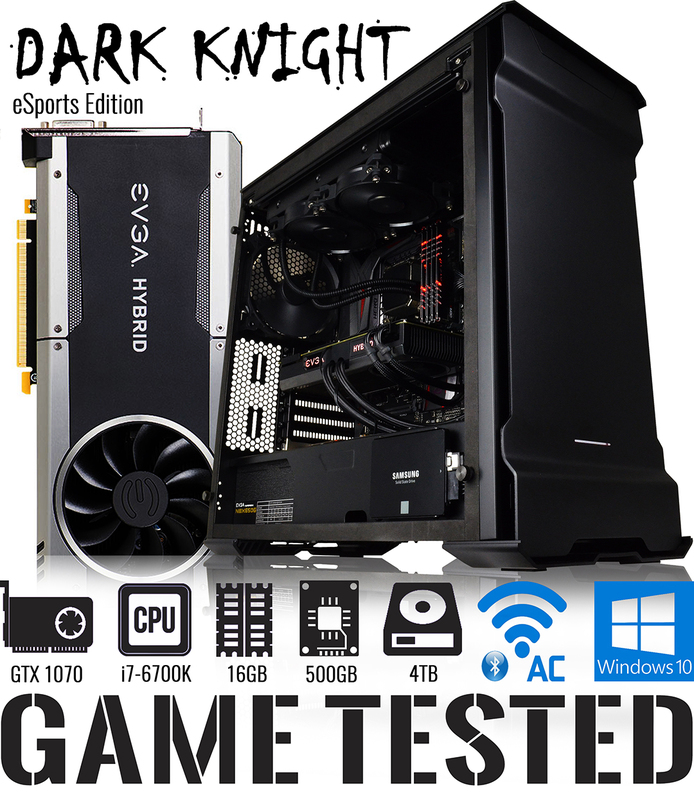 Good Gaming Components – EVGA SuperNOVA POWER! EVGA are well known worldwide as the primary partner to Nvidia and create some outstanding aftermarket graphics cards, but did you know they also have some excellent power supplies? EVGA has one of the most complete, high quality PSU ranges available and New Zealand today with power supply units suitable for builds in the mid-range to extremely high-end. The success of their power supplies comes from both outstanding performance-per-dollar but also from the quality (and quite honestly great looks) that these fully modular power options provide. 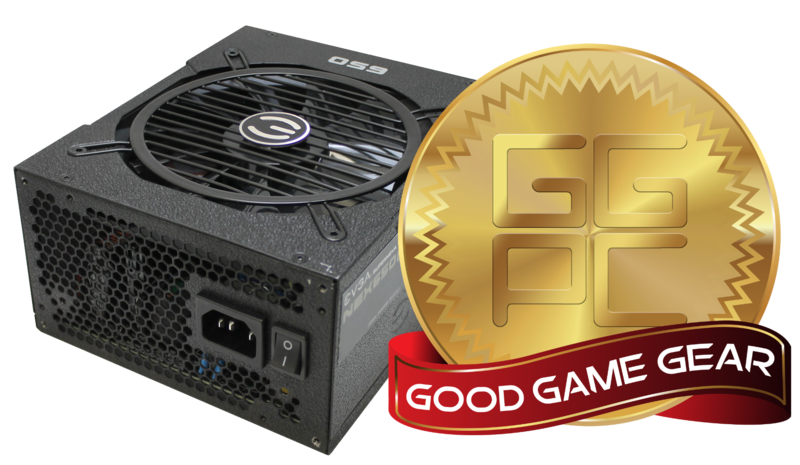 Looking specifically at the EVGA SuperNOVA G1 650W 80+ Gold Full Modular Power Supply this is an ideal option for people looking to build a great RX 480 system today, with enough power to add a second RX 480 later in Crossfire configuration. Combining 650W of continuous power with gold rated efficiency and a very unique look in the almost stone like casing this fully modular masterpiece comes with fully black cables in two lengths so you can make you system look amazing without cable clutter – and they stand by this product as well with a mighty 10 YEAR WARRANTY! Recently, EVGA also expanded its 80 Plus Platinum efficiency G2 line with a giant 1600W capacity unit to satisfy the demands of the highest end user that is seeking to build the most extreme systems, but more on that one soon 🙂 We’ve been using these power supplies in our high end builds the GGPC Dark Knight and GGPC Paladin and will continue to do so with the latest versions as we have found SuperNOVA to be utterly dependable, we’ve also had the pleasure of working with other EVGA power options in various custom builds (like this amazing system) and it’s on this note that we give this power supply range our GGPC recommends badge – EVGA Power Supplies are GOOD!